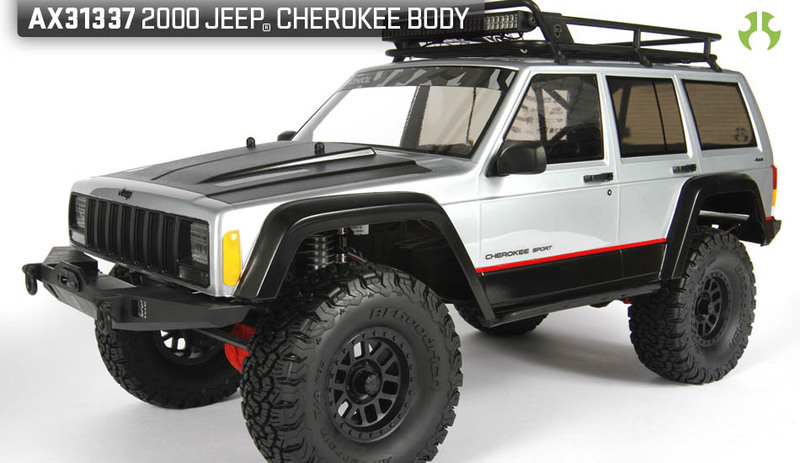 Throughout the rich history surrounding the Jeep® brand, there have been several influential vehicles hailing from the seven-slot stable, one of which is the Jeep® Cherokee (XJ). Possibly considered as the dawn of the modern SUV, the XJ was first presented 1984 as one of the first small SUV’s introduced into the American market, which carried on until 2001. During its 17yr production run, the XJ was built on several continents for world wide exposure, offered in either a 2-door or 4-door configuration, available in several different trim levels along with either a 2wd or 4wd drivetrain. Under the hood featured three different engine options consisting of 2.5L I4 AMC (125hp @ 5400rpm and 150lb/ft of torque @ 3250rpm), 4.0L I6 OHC AMC (193hp@4600rpm and 231lb/ft of torque @ 3000rpm), and a Euro spec only turbo diesel I4 OHV (114hp@3900rpm and 221 lb/ft @ 2000rpm). 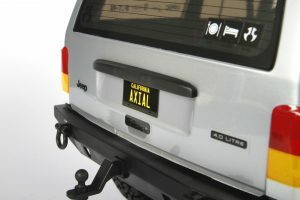 In 97’, the XJ received a facelift that updated design queues focused on aerodynamics, body stiffness, styling as well as the spare tire being relocated from the rear bumper to inside the cab. The stiffer uni-body construction brought forth improvements in noise cancellation and vibrations while aerodynamics improved engine efficiency. From an off-roading perspective, the XJ has proven to be a relatively inexpensive vehicle for purchase thus making it a value based build option, capable of suiting just about any sort of budget. Its bones are strong thanks to a Quadra-Link suspension system and primarily coming with Dana 35 axles since the beginning, but there was a Dana 44 option between 87’-91’. Don’t let its smaller size fool you, there’s room for four passengers and space for days, making it a great expedition rig for friends and family to tag along. A variety of decals are included allowing you to customize the look of your very own Jeep ® Cherokee XJ. The decals are precut and we’ve also included window masks for easy painting. The molded front grill assembly makes for quick work when installing an LED light assembly and coupled with the included headlight and turn signal lenses gives that extra bit of detail you’ve come to expect with an Axial body. Main head light buckets are designed for 5mm LED bulbs while the turn signal buckets are designed for 3mm LED bulbs. 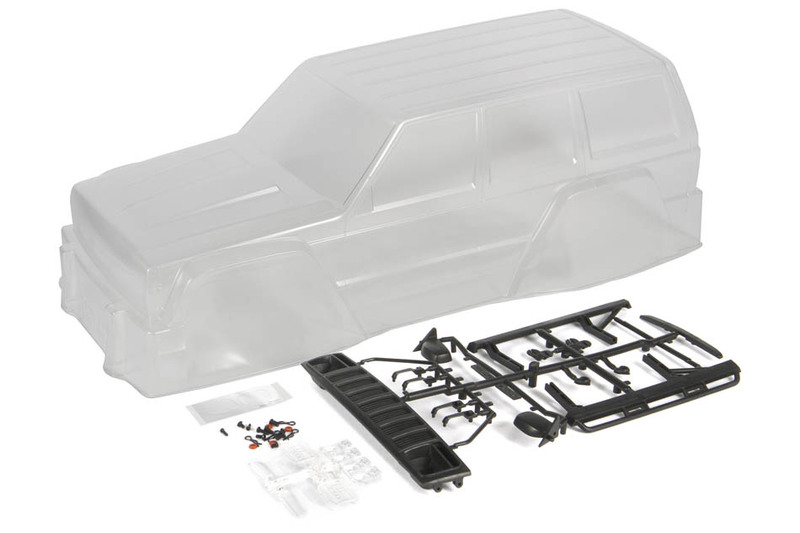 • Includes three different styles of realistic clear lenses: (4) Rigid single pods, (2) Jeep® Cherokee (XJ) head light, (2) Jeep® Cherokee (XJ) turn signal.